Former Fed Chairman Ben Bernanke can’t refinance his mortgage. So, what’s the headline story? It’s all about how difficult the economy is. There is a better, more important story. Ben Bernanke, at 61 years of age, is in debt up to his ears. Why isn’t his home paid for? Ask yourself the same question. My wife and I set a goal years ago to be debt free in our later years. Here we are and, yes, we are. Debt free, that is. Well, debt free, if you discount property taxes. In America we don’t truly have home ownership, we just get to lease it from the state, county, city and various taxing districts. I’m no financial wizard. But, I can foresee the future. We have an astronomical national debt approaching 18 TRILLION US dollars. 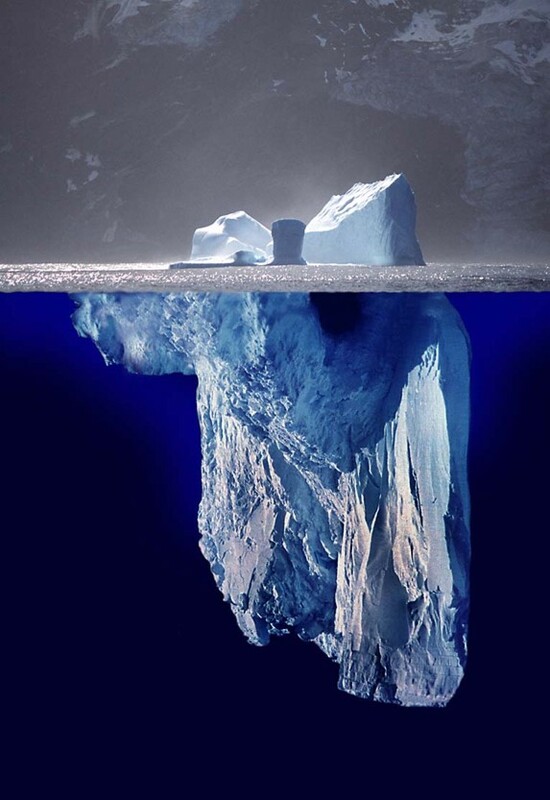 As enormous as national debt is, it’s merely the tip of the proverbial iceberg. At the peak of the tip of the iceberg is student debt, at over 1 TRILLION dollars. What lies below the waterline is the more frightening story. Below that waterline is federal unfunded liabilities that now exceed 127 TRILLION dollars. According to Forbes magazine, present per capita debt (that’s ‘per person’ for today’s college grads) sits at $1,100,000 EACH, roughly equivalent to the gross domestic product of the entire world in 2012. Can we overcome inevitable economic collapse? In a word. No. But, we can lessen its impact through common sense measures. Milton Friedman (July 31, 1912 – November 16, 2006) was an American economist, statistician, and writer who taught at the University of Chicago for more than three decades. My economics is very fundamental. I learned this from two famous American Presidents: John F. Kennedy and Ronald Reagan. Full-blown socialism started with Social Security, enlarged with the addition of Medicare and has come into full bloom under the hand of Barack Obama and liberal Democrats who unconstitutionally passed the Affordable Care Act – aka‪#‎ObamaCare‬. Personal to Chief Justice John Roberts: According to our Constitution, all tax bills must originate in the House. Taxation in ObamaCare started in the Senate. You, sir, should read and study the Constitution as your right and duty, just as Founding Father Benjamin Franklin said. True unemployment is a national disgrace. Obama administration’s own numbers reveal the depth of this problem. According to the Dept. of Labor, “participation” in the workforce is a dreary 62.7%. Therefore, true unemployment is 37.3%, 12.4% higher than it was at the height of the Great Depression. Federal and state income taxes strangle our economy. 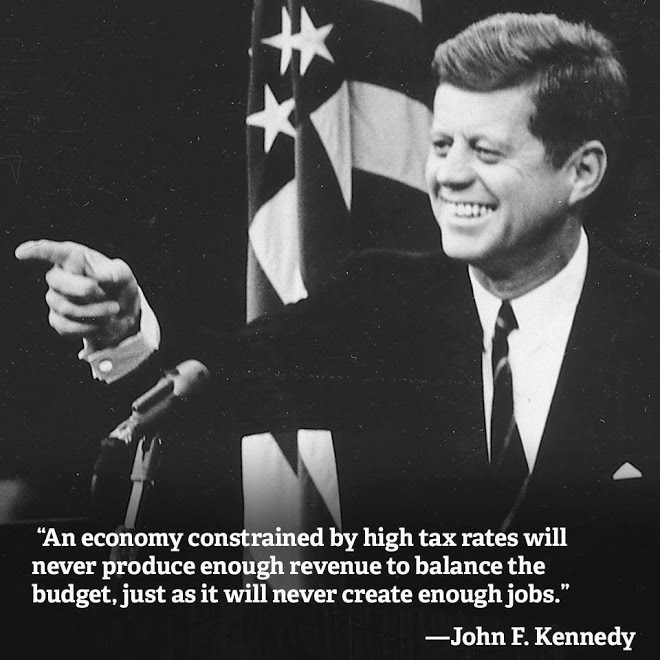 Presidents Kennedy and Reagan proved the way to increase federal revenue was by cutting taxes, not increasing tax rates. What can and should be done? Eliminate unnecessary federal bureaucracies like the EPA, BLM, Labor and Education Departments, USDA, etc. States are better able to manage local resources and program. We American taxpayers squander federal dollars to run parks like the Grand Canyon that economically benefits the state of Arizona. During the most recent sequester, the state of Arizona offered to fully fund the Grand Canyon. Is this not a clue. Do you know the BLM controls about 85% of the entire state of Utah and approximately half of all lands in western states? Cut the size of federal government. 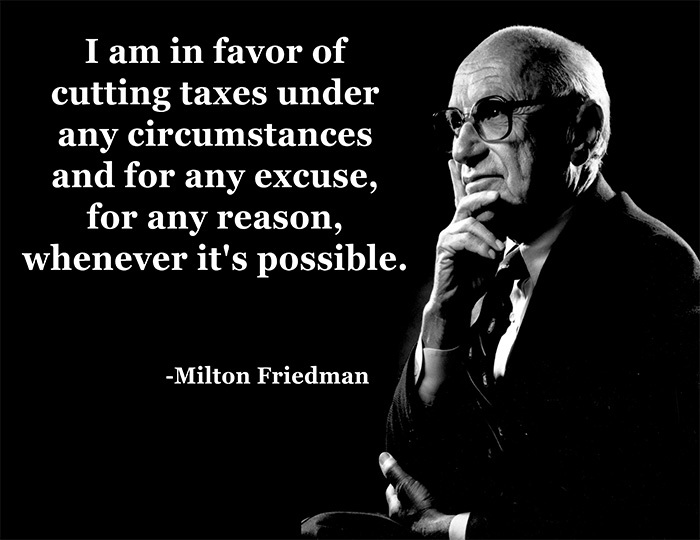 Cut all federal taxes. These two measures will dramatically contribute to a robust economy where there would be so many job openings we would be begging for immigrant labor, instead of having to fight it off.